Build your own distributed sensor network to collect, analyze, and visualize real-time data about our human environment—including noise level, temperature, and people flow. With this hands-on book, you’ll learn how to turn your project idea into working hardware, using the easy-to-learn Arduino microcontroller and off-the-shelf sensors. Authors Alasdair Allan and Kipp Bradford walk you through the entire process, from prototyping a simple sensor node to performing real-time analysis on data captured by a deployed multi-sensor network. 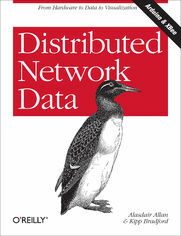 Demonstrated at recent O’Reilly Strata Conferences, the future of distributed data is already here. If you have programming experience, you can get started immediately. Series 1 or Series 2? ArduinoComment [AA2] We need more links here!